Crews continue to pave the final riding surface of State Loop 335 (Hollywood Road) east of I-27. Expect traffic to be reduced to one lane where work is taking place and anticipate closures of on and off ramps. Only one ramp should be closed at a time. On State Loop 335, crews will be making patching repairs in various lanes between US 87 and Amarillo Boulevard. Watch for crews spraying herbicide along the northern portions of State Loop 335 and US 87. 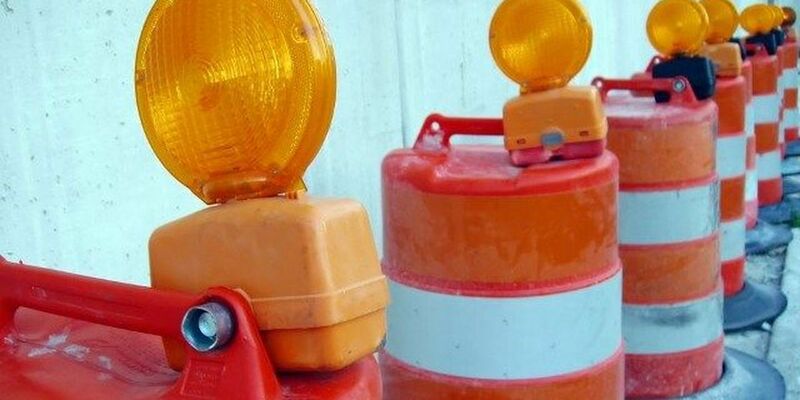 At the I-40/I-27 downtown interchange, various lanes will be closed heading south out of downtown on Pierce and Taylor streets for patching and concrete repairs. Also watch for slow-moving operations at the I-40/I-27 downtown interchange for vegetation management around guardrails. On Amarillo Boulevard, various lanes will be closed at and near the Gem Lake Road intersection for patching repairs. Watch for mowers and weed eaters along I-40, I-27, and US 87 in the Amarillo city limits. Please slow down and watch for crews weeding in the areas of the guardrails and signs. - Arthur Street will be closed under I-40 from 6 a.m. until 4 p.m. Thursday, April 4 for the I-40 at Arthur bridge deck placement. - The left lane of both I-40 eastbound and westbound will be closed at Arthur Street for 24 hours beginning at 5 a.m. on Thursday, April 4. - The northbound I-27 ramp to eastbound I-40 will be closed for 24 hours beginning at 5 a.m. on Thursday, April 4. - Traffic on I-40 westbound, west of Arthur Street, will be switched during the night of Thursday, April 4, from the right lanes to the left lanes. At the same time, both ramps from I-40 westbound to US 87 northbound (downtown) and I-27 southbound, will be closed through Friday, May 3, while bridge repairs are made. - Motorists needing to travel north on US 87 or south on I-27 will need to proceed to Washington Street and use the turnaround to reenter I-40 eastbound and then use the northbound US 87 or southbound I-27 ramps.